The Federal Election Commission sent a letter to the Democratic presidential candidate’s campaign committee on Thursday with a 90-page spreadsheet listing 3,457 "excessive, prohibited, and impermissible contributions." "Although the Commission may take further legal action concerning the acceptance of [excessive or prohibited] contributions, your prompt action to refund the prohibited amount will be taken into consideration," the FEC told the campaign. 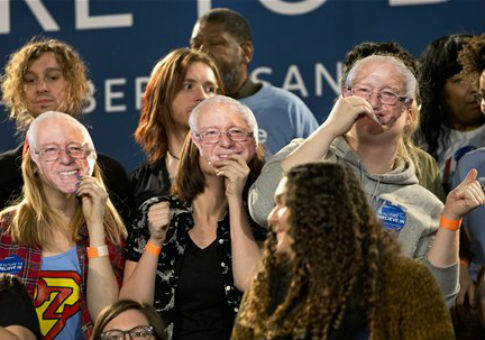 The FEC sent a letter to the Sanders campaign earlier this month flagging an additional 1,316 "excessive, prohibited, and impermissible contributions" in the fourth quarter of 2015. "I am German, live in Germany and just donated to Bernie Sanders' campaign on www.BernieSanders.com simply using my credit card—Is this illegal in any way?" asked a user on the website Quora. "UPDATE: Donation rescinded based on your answers," the user later added. This entry was posted in Politics and tagged Bernie Sanders, Campaign Finance. Bookmark the permalink.